The agency tasked with protecting federal employees from whistleblower retaliation and other actions prohibited by civil service laws issued a record number of decisions favorable to workers last year, sending what it called a “warning” to federal supervisors not to engage in improper conduct. Of the complaints the Office of Special Counsel processed and closed in fiscal 2017, 9 percent received a favorable outcome for the employees, the agency said in its recently released annual report. The 323 favorable results stemming from prohibited personnel practices cases marked the highest total in OSC’s nearly 40-year history, the agency said, and a 16 percent increase from the previous year. 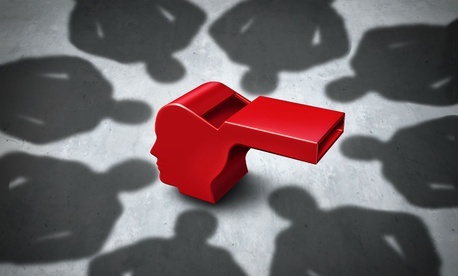 About three-quarters of those cases were from whistleblower retaliation complaints. While the favorable decisions increased, the total matters received—and the complaints processed and closed—actually decreased compared to the previous year. The higher rate of positive outcomes for employees raising complaints marked the continuation of what has been a total reversal from OSC’s earlier days, according to longtime observers. Tom Devine, legal director at the Government Accountability Project, a whistleblower advocacy group, said Carolyn Lerner, whose tenure as head of OSC came to an end late last year, inherited an agency that was “completely dysfunctional.” GAP used to warn whistleblowers not to bring their cases before OSC because it was a virtual guarantee that it would be the “final nail in the coffin” of their careers, Devine said. In a blip on OSC’s fiscal 2017 record, the agency processed just 77 percent of complaints within 240 days. That was down from 85 percent the previous year and lowest rate since at least fiscal 2011. The agency received the most cases, including prohibited personnel complaints and other issues, from the Veterans Affairs Department. When employees brought issues of waste, fraud or abuse to OSC and the agency decided to pursue the cases, the employees’ concerns were typically validated. Agencies substantiated wrongdoing in more than 75 percent of whistleblower disclosures that came into OSC that the agency then reported to the president and Congress. OSC said while it received just a “modest” budget increase in fiscal 2017, it “skillfully enhanced accountability, integrity, and fairness in the federal workplace.” The Trump administration has faced several high-profile accusations of taking political reprisal actions against employees. Under Kerner’s leadership, Devine said, things are improving at an even faster rate and OSC has been more responsive to whistleblowers than at any time in its history. And on top of OSC’s more employee-friendly findings, Congress last year approved the Chris Kirkpatrick Whistleblower Protection Act, which, among other things, eases the process for disciplining supervisors found to have engaged in whistleblower retaliation. That combination, Devine said, should make federal managers think twice before punishing those speaking out against impropriety at their agencies. “Supervisors have more to fear in terms of their own actions than ever before in the history of the civil service system,” he said.